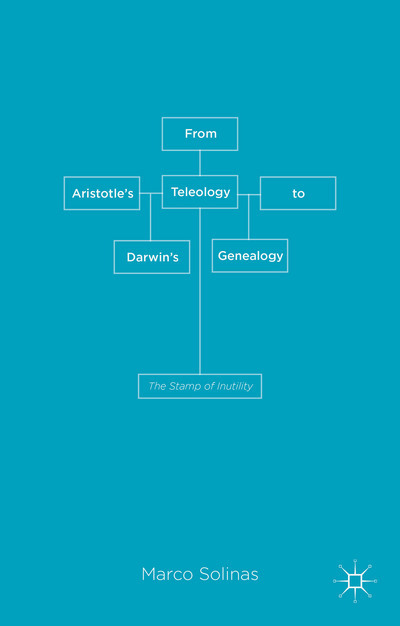 “From Aristotle’s Teleology to Darwin’s Genealogy – The Stamp of Inutility” by Marco Solinas. Starting with Aristotle and moving on to Darwin, Marco Solinas outlines the basic steps from the birth, establishment and later rebirth of the traditional view of living beings, and its overturning by evolutionary revolution. The classic framework devised by Aristotle was still dominant in the 17th Century world of Galileo, Harvey and Ray, and remained hegemonic until the time of Lamarck and Cuvier in the 19th Century. 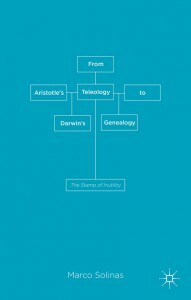 Darwin’s breakthrough thus takes on the dimensions of an abandonment of the traditional finalistic theory. It was a transition exemplified in the morphological analysis of useless parts, such as the sightless eyes of moles, already discussed by Aristotle, which Darwin used as a crowbar to unhinge the systematic recourse to final causes. With many excerpts, a chronological sequence and an analytical approach, this book follows the course of the two conceptions that have shaped the destiny of living beings in western culture. You can order the book directly at the publisher’s website.